Splatoon was a surprise hit that burst onto the multiplayer shooter scene like a giant, ink-filled balloon. I’ve made no secret of the fact that I think Splatoon is going to be looked back upon as a seminal moment in the shooter genre’s history, right there with DOOM and Halo. That’s not even hyperbole, people fail to appreciate how much the ink mechanics and nonviolent aspect have brought to the genre, mostly because the Wii U was isolated from the larger market. With the Nintendo Switch finding mainstream success, these mechanics are going to find a much larger audience. Speaking of underappreciated things though, Splatoon’s single player campaign hasn’t received the recognition it deserves, not even from Splatoon fans themselves. It was hampered by a short duration, some bad enemy AI, and a limited variety of weapon and enemy types, which would usually be a checklist on how to make a terrible campaign. However, the level design and boss encounters were strong enough to save the experience. To paraphrase legendary game designer John Romero, the first level should be designed last, and presumably the last level should be designed first. Starting with the last level first allows developers to design around all of the equipment and skills they want to impart to the player over the course game. Paring down to a first level is easier than building up to a last level, and by the time the first level is being made, the team knows exactly what they’re building towards and how to guide the player there. Splatoon’s final boss is a master class in game design. I can’t say for sure that’s how the single player campaign for Splatoon was developed, but it certainly feels that way. The final boss is, fittingly enough, the most challenging encounter in the game, seeing players forced to fight a running battle across the stage. During which, every skill players learned throughout the campaign is put to use. The further the player pushes DJ Octavio, the more hectic the combat becomes, right up until the tentacled tyrant’s defeat. It’s one of the best executed boss battles in video games, which is weird because bosses in shooters are almost invariably terrible. The rest of the single player campaign acts as an extended tutorial, with each area’s levels preparing players for the region’s boss. 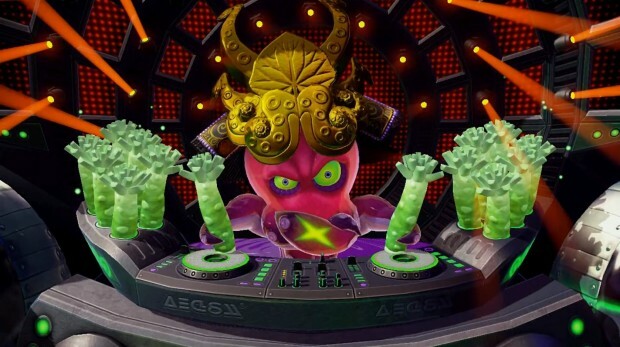 This formula repeats itself throughout each of the five areas, and culminates with the aforementioned climactic battle against DJ Octavio. Comparing the design to a tutorial is in no way a negative though, the campaign itself was a lot of fun, but it did create a problem. The campaign’s pacing, difficulty curve, and usefulness as a tool that teaches player all the skills they’ll need to be competitive, could be described as a perfectly crafted pyramid, beautiful in how neatly the pieces fit together. Except for one problem: It’s too small, and adding more to it would make the presentation lopsided and unappealing. Adding more busy work to pad out the campaign would destroy its wonderful flow. Fortunately, Splatoon 2 is bringing back the single player campaign, and seemingly build up the foundation of our metaphorical pyramid. The recent trailer confirmed that at least two of the most frequent complaints are going to be fixed: Weapon selection and enemy variety. For starters, players will have access to all weapon types instead of just the Splattershot. In the trailer, we saw Sheldon deliver a weapon to the player. It’s unclear if players will be allowed to ask for a specific load out of their choice, but even if load outs are assigned by the game, that’s still an improvement to the campaign. One that could possibly encourage players to familiarize themselves with various weapon types, in an environment that won’t affect others’ enjoyment. The second confirmed improvement comes in the form of new enemy types. In the first game, there were two main types of Octarians, ground and flying, which had a few variants each. Then, there were more special encounters, like Octolings and the bosses. It was a very thin enemy roster to say the least. Thankfully, we’ve seen several new enemy types in the trailer, including bowling ball inspired foes, a fat Octarian on a unicycle, and what looks like the Octarian equivalent of a Bullet Bill, among other things. There’s still no telling if the new salmon inspired enemies will make an appearance in the story too. In regards to enemies, there’s one problem that hasn’t been addressed so far: The terrible AI. It wasn’t a big deal for the most part, as levels are designed such that regular enemies are more akin to goomba-like obstacles than actual combatants. However, in the areas where the player squared off against the Octolings, the lack of finesse in their actions really stood out. We’ll just have to wait until the game is in our hands to see if this has been upgraded, because AI is something that’s almost impossible to show off in a gameplay sizzle reel like the recent Splatoon 2 trailer. The poster for Splatoon 2’s single player campaign certainly feels more grandiose. Finally, while we have no confirmation that the campaign will be any larger than the original, it’s extremely likely the experience will be more fleshed out when all is said and done. In Splatoon, each new area introduced one or two mechanics that would be focused on, and gradually incorporated into the player’s skill set. The Splatoon 2 trailer had tons of new mechanics to show off, like bouncy floors, boost pads, and grinding on ink rails. Assuming the development team doesn’t throw out a lot of old mechanics, or drastically change their approach to level design, Splatoon 2 should easily have twice as much content. Splatoon is the new rock star of Nintendo’s franchises. As long as the series doesn’t flop due to mismanagement, it’s going to surpass Zelda in terms of sales. 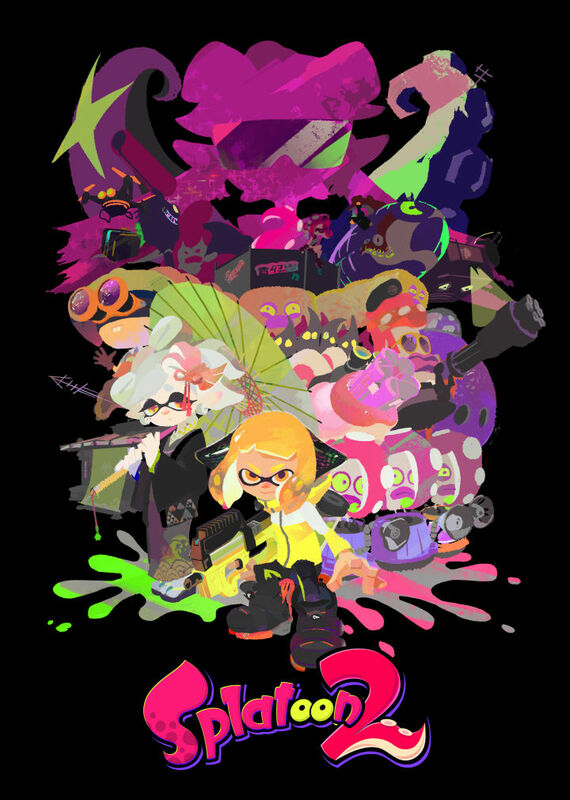 Shooters are the most popular gaming genre, and Splatoon appeals to the widest audience of them all. It’s a safe bet that Nintendo is going to put their best foot forward, and with the multiplayer element mostly hammered out, the biggest improvement to be made remains the single player mode.